Social media has revolutionized how people receive and share news and information. Because of this change with how people around the world consume news, journalists – and the media landscape – have had to quickly adapt. While these platforms are not replacing the industry, they are adding another layer of information and providing access to a wider range of voices. Over the past decade, digital tools and mobile platforms have had a significant impact on journalistic practices and these platforms are providing value as a media tool that can help reporters research and discover story ideas. If you are journalist that covers a regular beat, chances are you’ll find yourself talking to the same people on a fairly regular basis. Actively participating in conversations on various platforms can help to forge relationships with sources that wouldn’t have otherwise come to be. 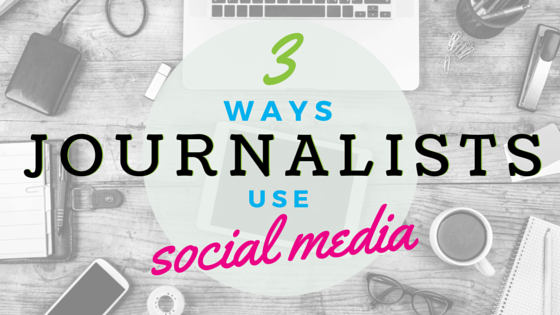 Social media platforms provide journalists with an additional vehicle of self-promotion. Individual journalists are now able to actively publicize their work, develop their own online presence and engage with readers at a level previously unseen in the industry. Stay up to date on media trends, best practices and how social media is impacting the media industry. Subscribe to Beyond Bylines to receive posts by email. Amanda Eldridge is the director of strategic channels at PR Newswire where she educates small business owners and nonprofits on affordable PR & marketing solutions. She has 15 years of experience in both communications and journalism. While not working with clients to revamp their PR & marketing efforts she is busy being a mother to two young children and enjoys the Colorado outdoors, no matter what season. Amanda also tweets about small business marketing trends @prnsmallbiz.